Neural networks have been widely used to solve complex real-world problems. Due to the complex, nonlinear, non-convex nature of neural networks, formal safety and robustness guarantees for the behaviors of neural network systems are crucial for their applications in safety-critical systems. In this paper, the reachable set estimation and safety verification problems for Nonlinear Autoregressive-Moving Average (NARMA) models in the forms of neural networks are addressed. The neural networks involved in the model are a class of feed-forward neural networks called Multi-Layer Perceptrons (MLPs). By partitioning the input set of an MLP into a finite number of cells, a layer-by-layer computation algorithm is developed for reachable set estimation of each individual cell. The union of estimated reachable sets of all cells forms an over-approximation of the reachable set of the MLP. Furthermore, an iterative reachable set estimation algorithm based on reachable set estimation for MLPs is developed for NARMA models. The safety verification can be performed by checking the existence of non-empty intersections between unsafe regions and the estimated reachable set. Several numerical examples are provided to illustrate the approach. The material presented in this paper is based upon work supported by the National Science Foundation (NSF) under grant numbers CNS 1464311, CNS 1713253, SHF 1527398, and SHF 1736323, the Air Force Office of Scientific Research (AFOSR) through contract numbers FA9550-15-1-0258, FA9550-16-1-0246, and FA9550-18-1-0122, the Defense Advanced Research Projects Agency (DARPA) through contract number FA8750-18-C-0089, and the Office of Naval Research through contract number N00014-18-1-2184. The US government is authorized to reproduce and distribute reprints for governmental purposes notwithstanding any copyright notation thereon. 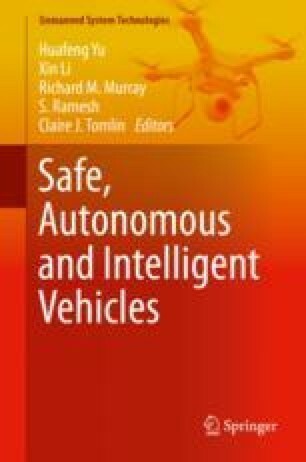 Any opinions, findings, and conclusions or recommendations expressed in this publication are those of the authors and do not necessarily reflect the views of AFOSR, DARPA, NSF, or ONR.